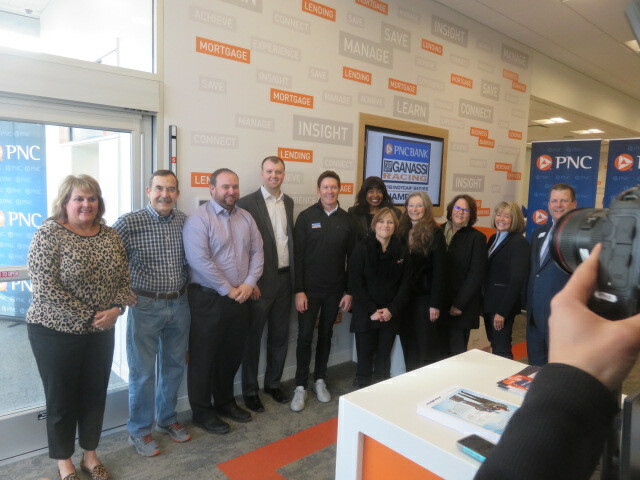 The new PNC Bank on Crawfordsville Road in Speedway recently had their grand opening. 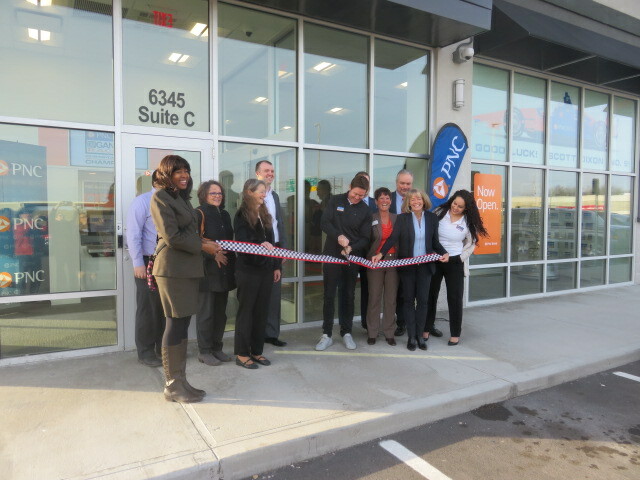 Scott Dixon, Indy Car Driver from New Zealand, was on hand and cut the ribbon. 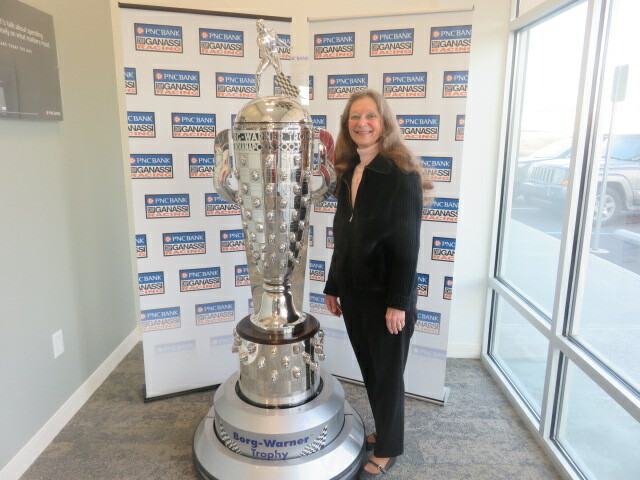 The Borg-Warner Trophy was also on display. The trophy debuted in 1936 with the 24 drivers faces that had already won the Indianapolis 500. Each year the race winner’s face has been added, with 105 faces now on the trophy. It is normally at the Indianapolis Motor Speedway Museum. A group photo of many of those in attendance was taken inside the building.